Writing thank you notes is not difficult, as long as you know how to start them and end them, and you let the recipient know how much you really liked your gift, even if you don't like it at all. For as little effort as they take, thank you notes carry a great impact. They warm the heart of the recipient, who is thanked for her generosity or kind act. And they improve your standing as a polite and thoughtful person who is willing to acknowledge kindnesses received. Keep a good supply of cool pens and stationary/note cards on hand. A lack of supplies is the number one reason thank you notes never even get started or sent. Make sure you keep the note small; it doesn't need to be wordy, just grateful. You can also use postcards. They are easier and cost less to mail. Don't cheat. Writing a thank you note in an email is a nice little message, but it doesn't mean as much. The recipient will be much happier if you send a real card. Say the right things. Address your note "Dear____." Open with a "hello" or any other nice, informal greeting. For example, if you are a country person, you could say, "hey there!". Or if you are a real city person, you could say, "Hey! ", or something like that. Right after the greeting say, "Thanks," and how much you like the gift. "I love my new shoes," or "I can't wait to read the books you gave me." Never say anything like, "Thanks for the shoes, but I already have some just like those," or "I wish they were a different color, but I guess I'll just live with it." Add some detail about how you will use the gift, but make it sweet and short. Don't go overboard trying to convince the recipient that you love the gift if you really don't. Don't say, "Wow I couldn't believe it when I saw those bright pink skater shoes in the gift bag! I'll fit right in at school now!" Say something true like, "The new shoes are so comfortable, I love them! Thanks!" One last note: Don't write about friends or school or what you had for lunch today. This is all about sending a proper thank you. 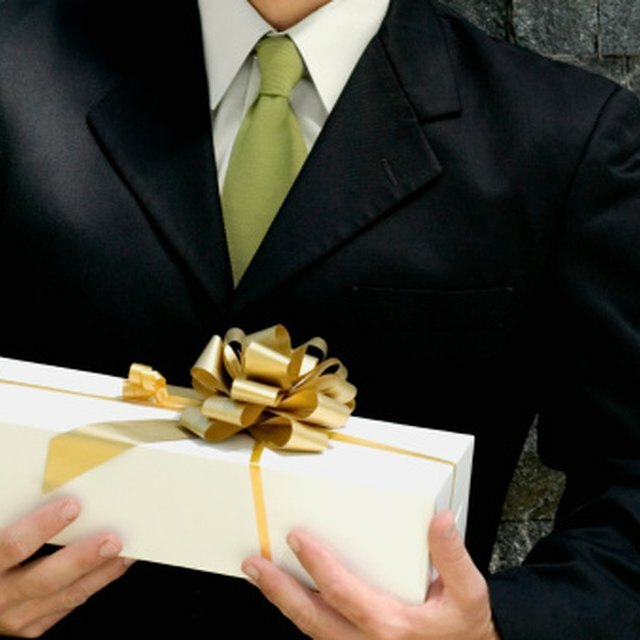 If the gift was cash, don't mention money directly. Just say, "Thank you for your generous gift."